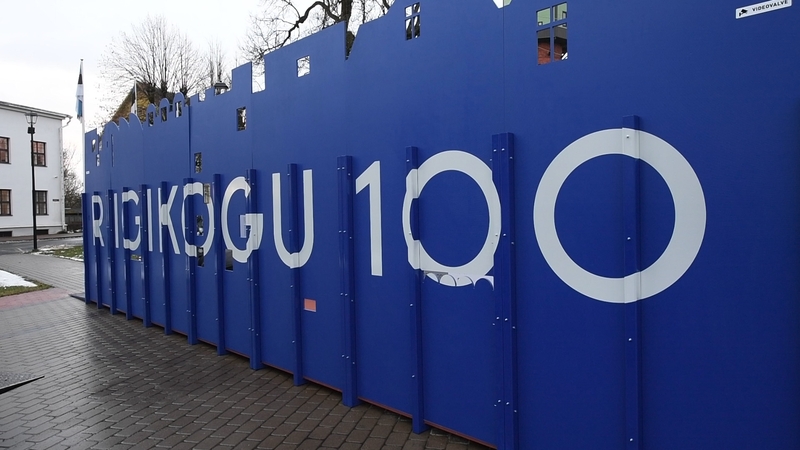 Today at 2 p.m., President of the Riigikogu (Parliament of Estonia) Eiki Nestor opens the travelling exhibition “Riigikogu 100” at the Town Hall Square of Viljandi. The exhibition presents the 100 years of history of the Parliament of Estonia, and covers the activities of the Estonian Provincial Assembly, the Constituent Assembly and the Riigikogu. The exhibition is showcases contemporary texts and pictures. Historical figures and events can be glimpsed through the doors and windows. Passing along the Riigikogu Street, we can go through hundreds of events in one step, and think a years’ worth of thoughts in a minute. The exhibition covers two large periods, the years 1917–1940 and 1991–2018. Between them, there is a 50-year-long gap, when the Parliament of Estonia could not convene. At the exhibition, it is represented by empty houses. The exhibition gives an idea of the correlation of political forces in different compositions of the Riigikogu, as well as of the political parties that have been and are active in the Estonian political landscape. The Riigikogu is the legislative power, therefore the laws passed by it that have a wider impact in the society and address greater number of people are highlighted. As a bonus, you can also get an overview of the important events that took place in the rest of the world. The exhibition will travel through the towns of Estonia. The length of the exhibition area of “Riigikogu 100” is 10.5 metres, and the width and height are 3 metres. The exhibition is transportable and lit with LED lamps. The authors of the exhibition are design agencies Identity and Ruumilabor, and the producers are design agencies Ruutu6 and Red Hat. The curator of the exhibition is the Parliamentary Information Centre of the National Library of Estonia. On 23 April 1919, the first representative body elected by the independent Estonian nation – the Constituent Assembly – convened in Tallinn. The Assembly was essentially our first parliament, passing the Declaration of Independence, the Constitution of Estonia, and the Land Act, and solving other issues of vital importance for the Republic of Estonia. The decisions of the Constituent Assembly formed the foundation of the Republic of Estonia.